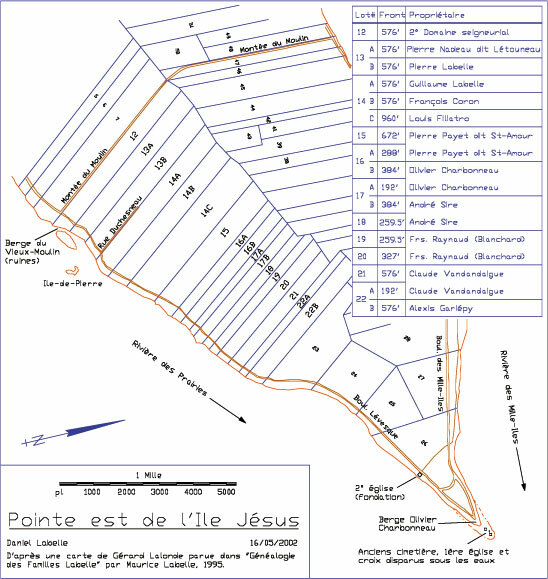 Here is a cadastral map of St-François-de-Sales, île Jésus, Laval, showing the land occupation at the time of Guillaume Labelle. He is himself installed on lot #14A, and his son Pierre on lot #13B. 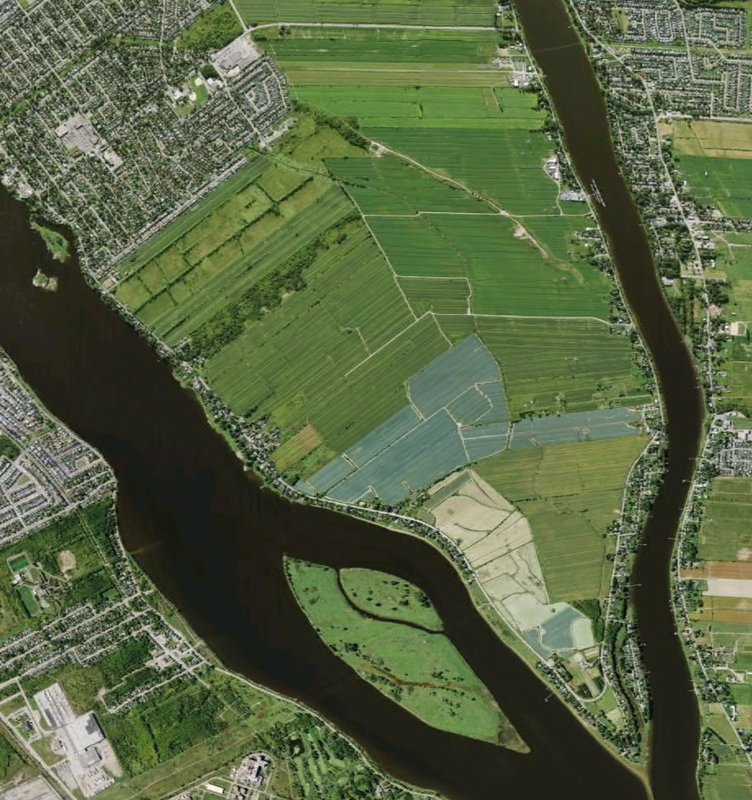 The same region on aerial view (satellite).